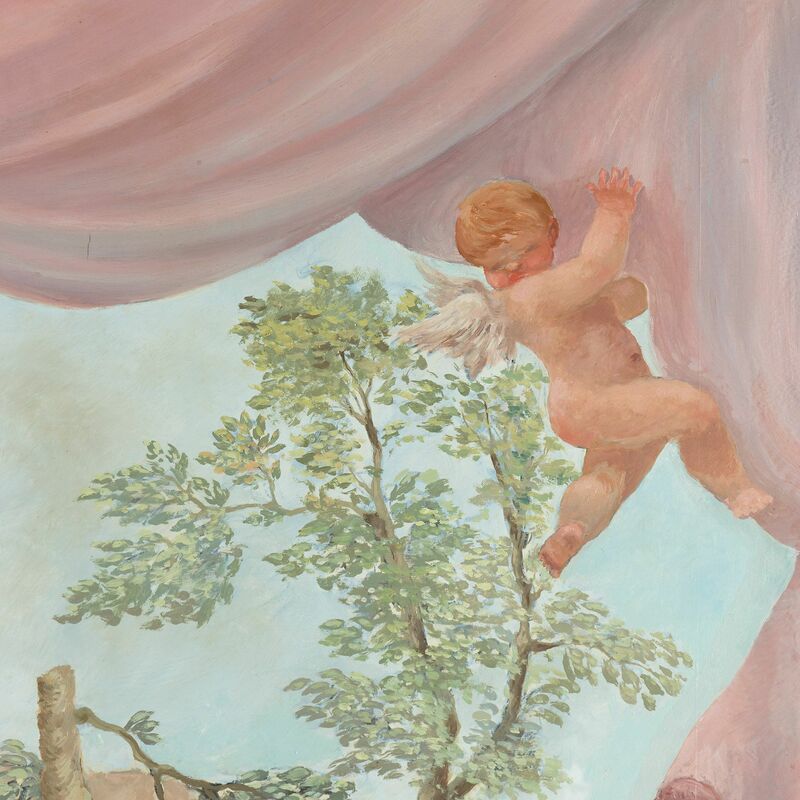 This extremely large 20th century Italian painting has been delicately executed and exhibits a charming pastel colour palette, reminiscent of the Rococo style. 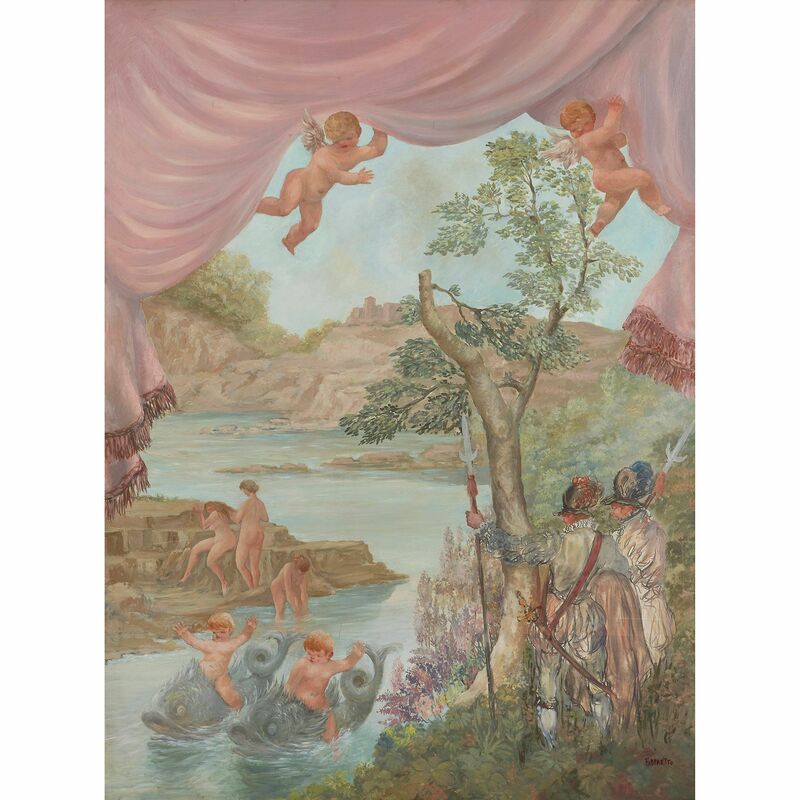 The painting, titled 'Cavaliers Watching Bathing Nymphs' is by Angelo Urbani del Fabbretto (Italian, active early 20th Century) and depicts a landscape scene set by the bank of a rocky river. 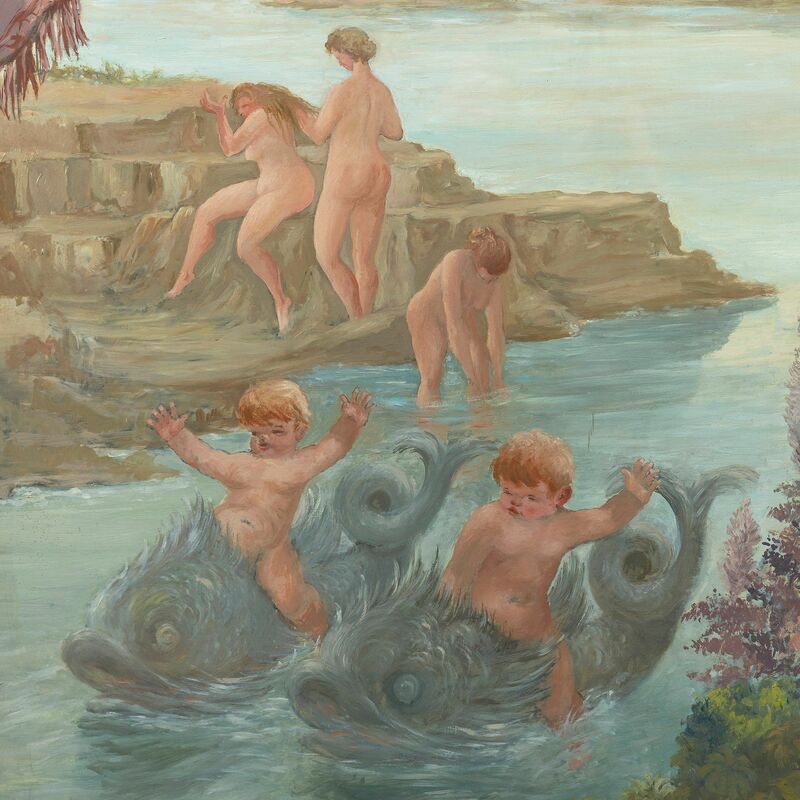 A pair of cavaliers, dressed in traditional Italian uniform and holding tall spears, watch a group of nymphs and putti bathing in the river and climbing on the rocks. 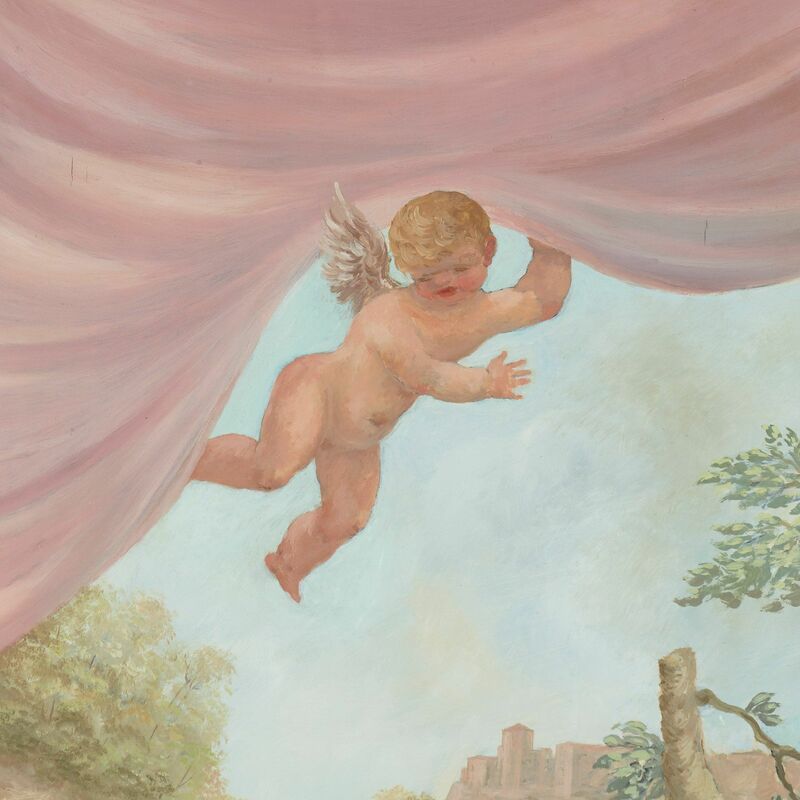 Two putti ride large, mythical fish, seeming to race each other, and two winged cherubs flying above the scene hold back a large, pink curtain. 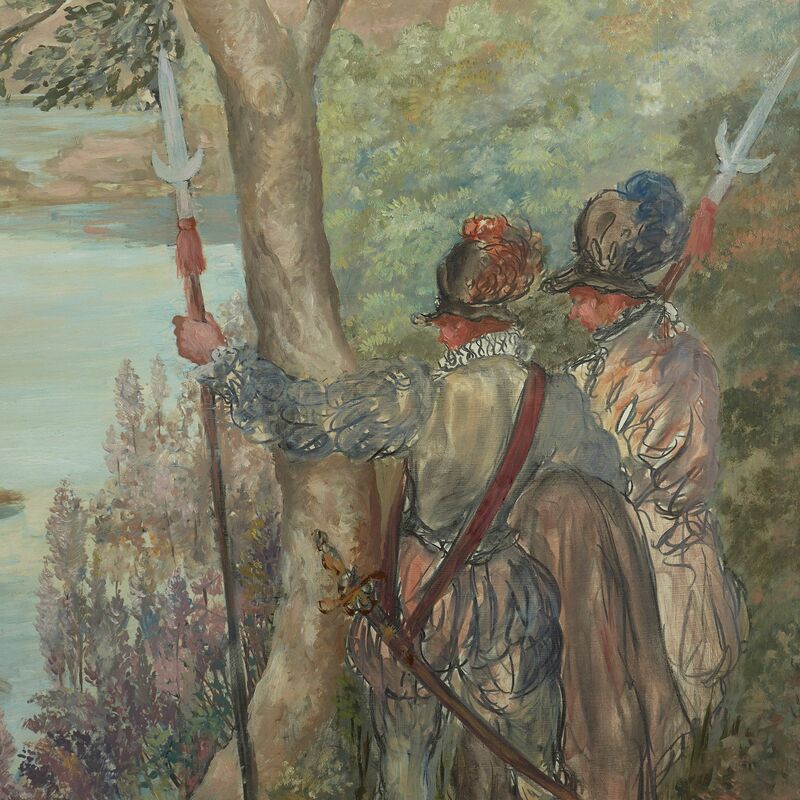 The river wends its way, curving into the distance of the composition, and a castle can be seen on the rock hill in the distance. 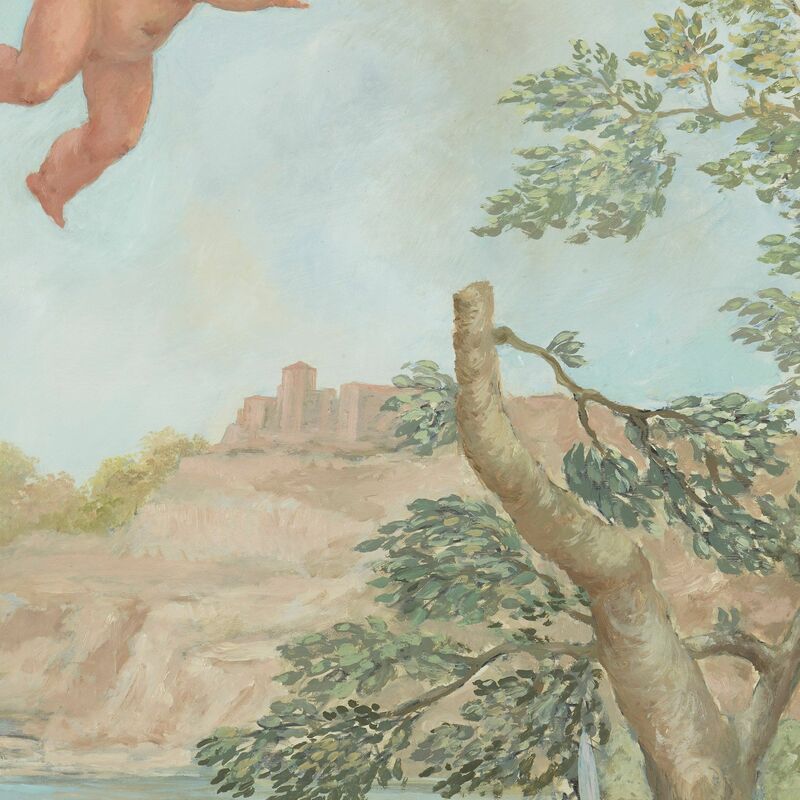 The painting is alive with nature, and offers a striking juxtaposition between the uniformed restraint of the cavaliers and the carefree abandon of the bathing nymphs. 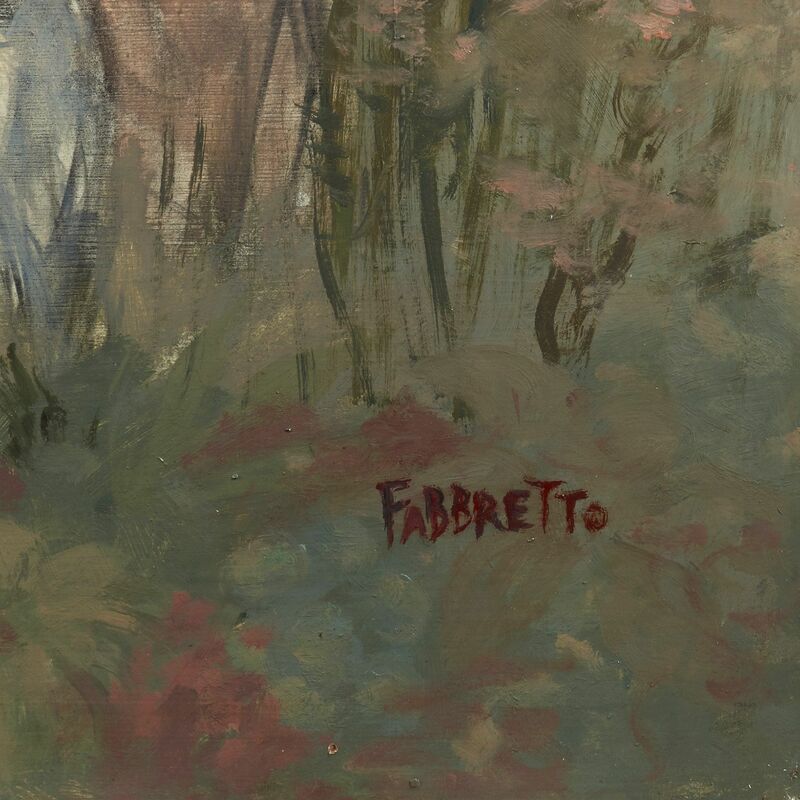 The painting is glazed and housed in a simple metal frame, and is signed to the lower right 'Fabbretto'.